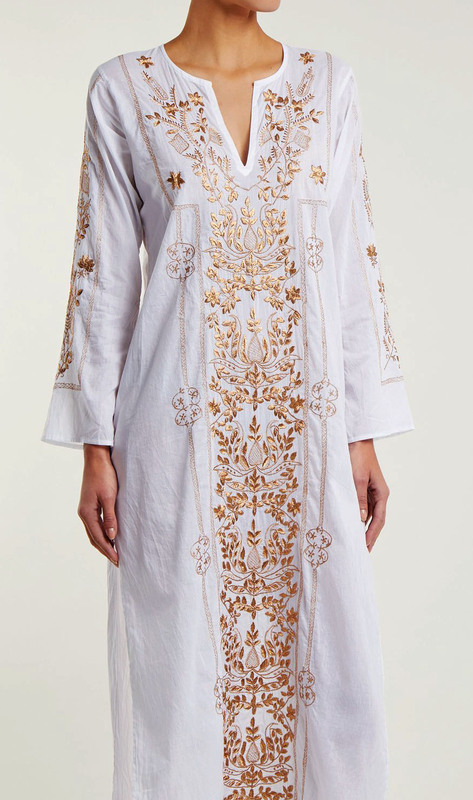 Let this white kaftan by Juliet Dunn add bohemian elegance to your poolside edit. 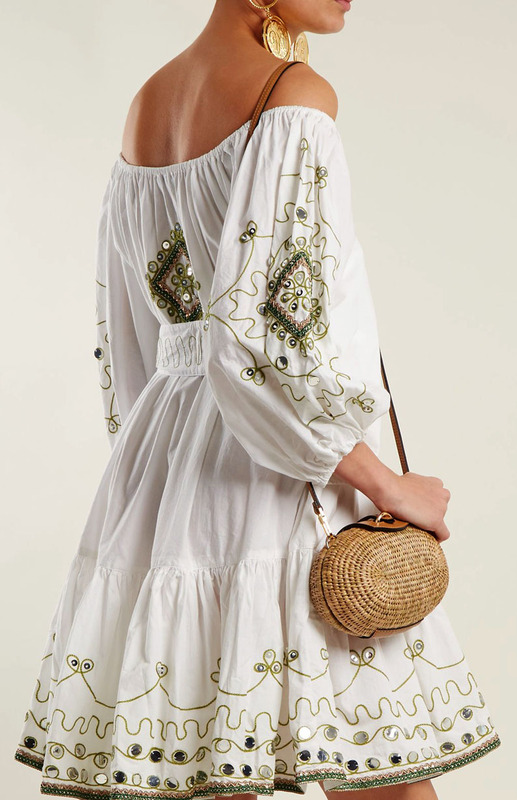 It’s crafted from lightweight cotton to help keep you cool in the sun and is embellished with intricate metallic embroidery which shimmers in the light. 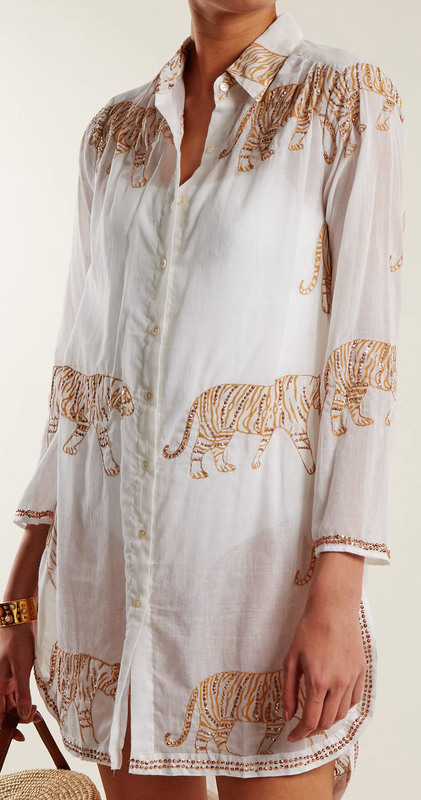 The slim-fitting design includes a deep V-neck and side seam slits. Wear it as a cover-up to glide seamlessly from beach to bar. A vibrant turquoise-blue hue gives Juliet Dunn’s ombré kaftan sunshine-ready status. 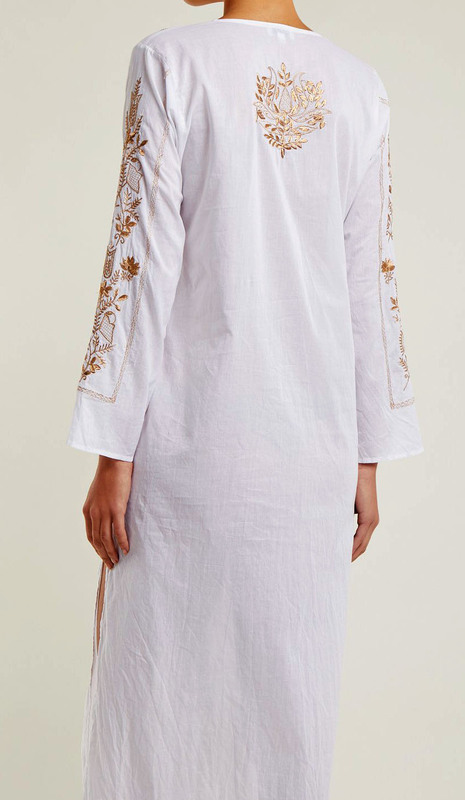 It’s crafted from lightweight silk and cut with a round neck and a button-fastening V-neckline to a loose silhouette, while detail comes in the form of intricate white floral embroidery and silver sequin embellishments. Slip it on over a swimsuit with leather sandals to go from hotel to beach. 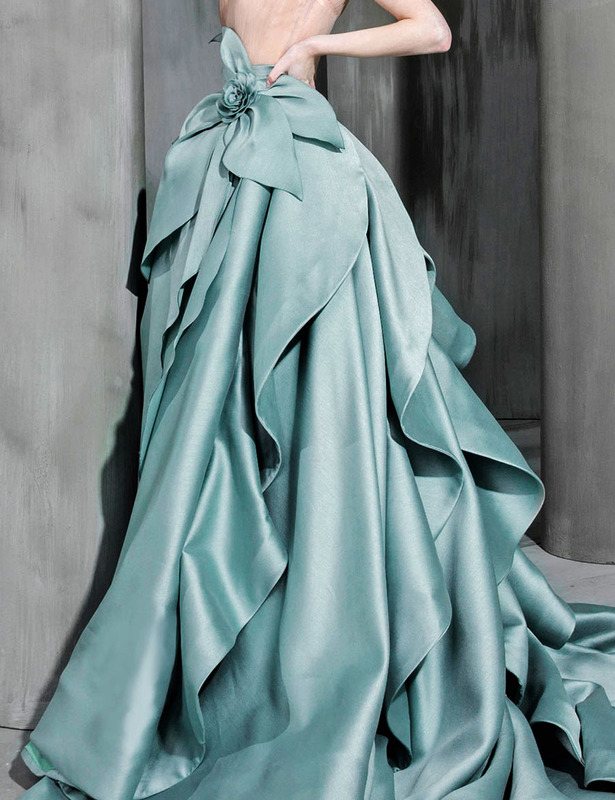 Juliet Dunn applies its flair for intricate embellishment to deliver this off-the-shoulder dress. 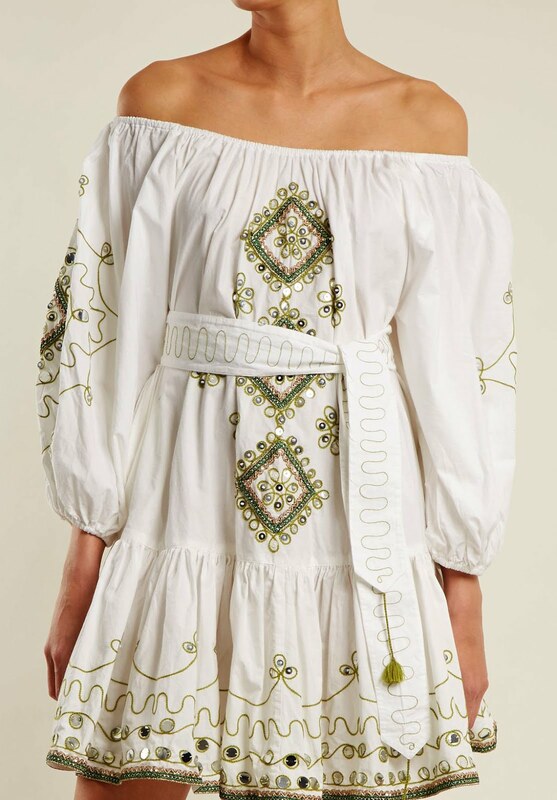 The white cotton style comes with billowing sleeves, a tie to cinch in at the waist, and green and gold embroidery. Let it take centre stage and team with pared-back woven-straw accessories. Juliet Dunn’s designs fuse Indian-influences with intricate techniques. This white cotton dress is cut with a Mandarin collar to a slim fit through the bodice, then falls to a pleated skirt with a flared hem. 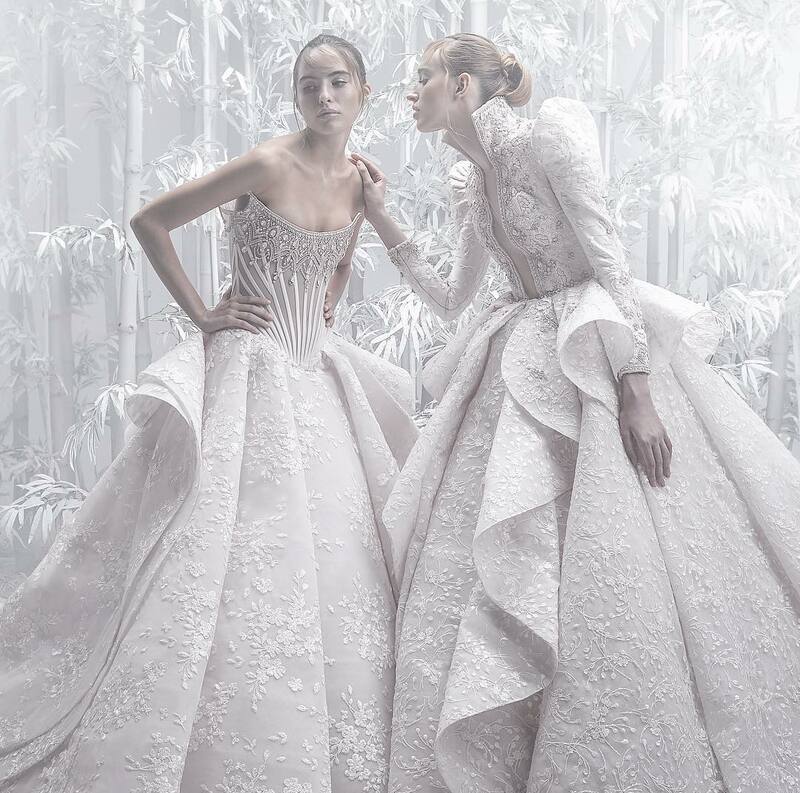 It features green, white, and silver embroidery, and silver sequins. Ground it simply with a pair of leather sandals and a cross-body bag for a nonchalant, yet polished vacation look.